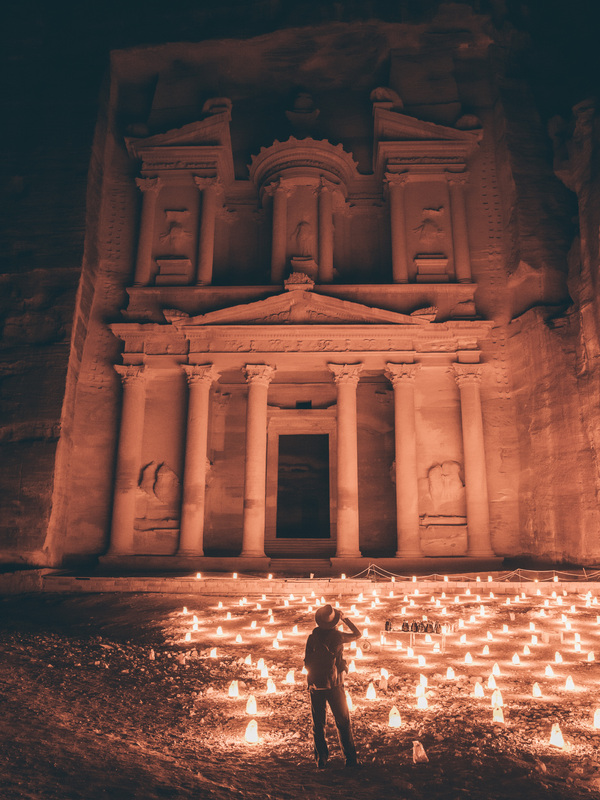 Once you’ve traveled half of the world to visit the ancient village of Petra – arguably Jordan’s most popular attraction, experiencing a candle lights evening at Petra By Night is that special ingredient to make your visit extra magical. Petra By Night is organised 3 evenings every week – on Monday, Wednesday and Thursday only. It follows the road from the park entrance at the Visitor Center, through the Siq, with the main part of the show to be held in front of the Treasure site – the most iconic relic in the Petra ancient town. Over 1,500 candle are laid on the route every single time, which softly lightens up the steps for the visitors, enhancing the complex beauty with a romantic twist. Interestingly, what we found out as we were walking past, what it might look from afar to be solid wide table top candles, are actually simple brown paper bags, with sand on the bottom, which basically holds a candle stick straight up. But this creative, yet simple trick, reflects the lights in a such a magical way, that gives the illusion of much stronger light that pops out in the dark environment. The entire event lasts about 2 hours in total, starting at 8:30 PM, with everyone required to leave by 10:30 PM. If you’ve been in Petra park during the day, you still need to leave by 5 PM (7 PM in summertime), and return at 8:30 for the night show. We recommend arriving earlier at the gate, so that you can find a nice seating spot for the show, and not have to stand at the back. The entrance fee is 17JD, and tickets can be bought at the Visitor Center shops, local tour agencies in Petra or at your hotel reception. However, something important to note is you should have purchased day pass for Petra in order to access the night show, so hold on to those and don’t throw them away if your are planning to visit Petra by Night. 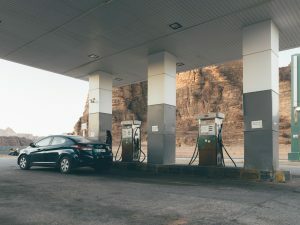 Jordan Pass doesn’t include entrance to the evening experience. 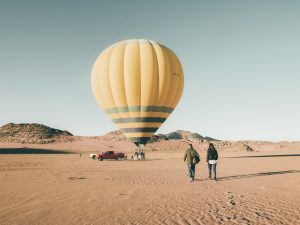 The program consists of some musical life performances, played on traditional Bedouin instruments called Rebab and Oud, with also some old nomadic songs incorporated. A local artist narrated an old Petra legend for the audience, followed by a light show, where the Treasury was lit in multiple different colors, which them allowed us to see the entire surrounding coming to life from the light and experience the greatness of the monument. As part of the ticket and tour, the staff kindly offers some hot Bedouin tea to everyone, which is really nice touch and warms you up during the chilly evening. 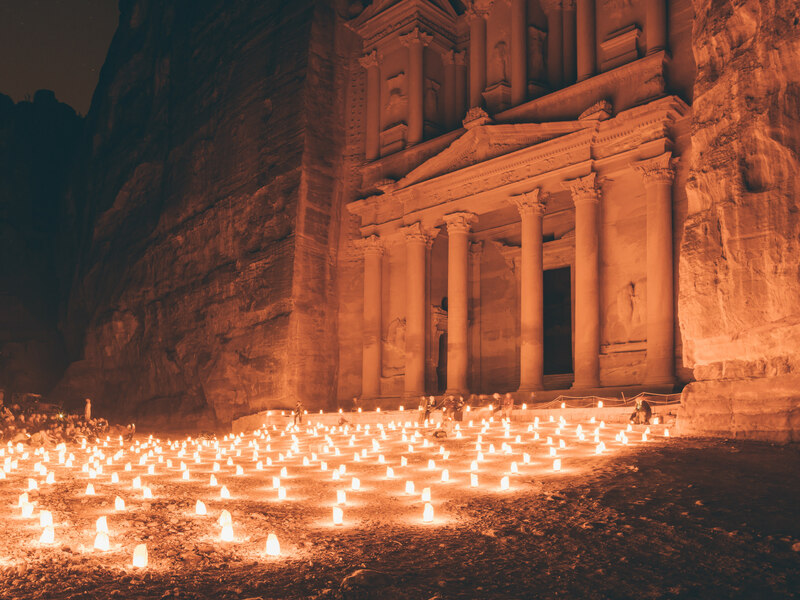 Visiting Petra Night Show is a magical way to see part of the rock city by candlelight and explore is without the daytime heat and crowds, and only completes the experience to witness the astonishing ancient complex and UNESCO World Heritage site.